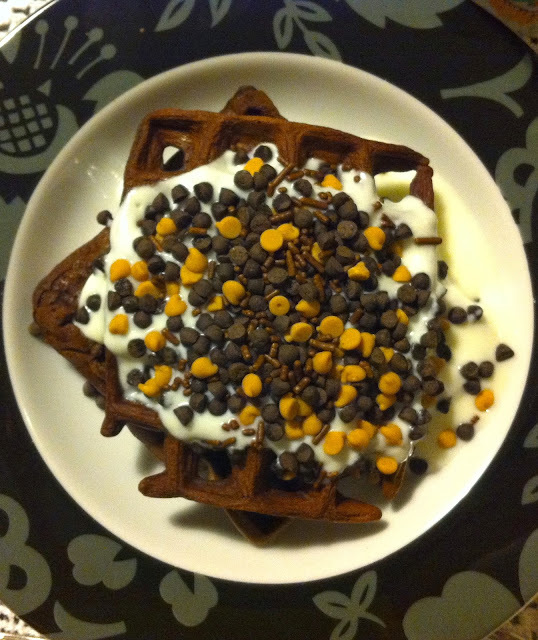 Cooking with Lu: The extra special use for the waffle iron I got for christmas! 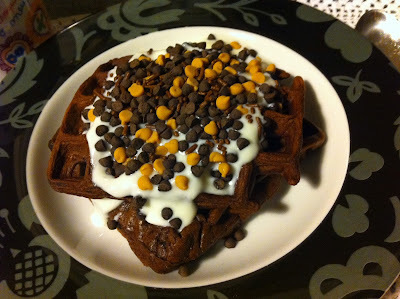 The extra special use for the waffle iron I got for christmas! Today's recipe is made in a waffle iron but it's not waffles it's actually... Brownies! Chocolate, of course. Chocolate is good in everything, but especially in brownies. I got this super simple square waffle iron for christmas (my boyfriend spent the entire year listening to me whine about how much I wanted one and surprised me with it) and obviously since then I have been making waffles non stop. One of these day's I'll share my go-to plain waffle recipe but today is something special... Today we're making (macro friendly - as almost always) Waffled Chocolate Brownies! Good for eating 1 or 2 if you're cutting calories, good for eating 17 if you're bulking. 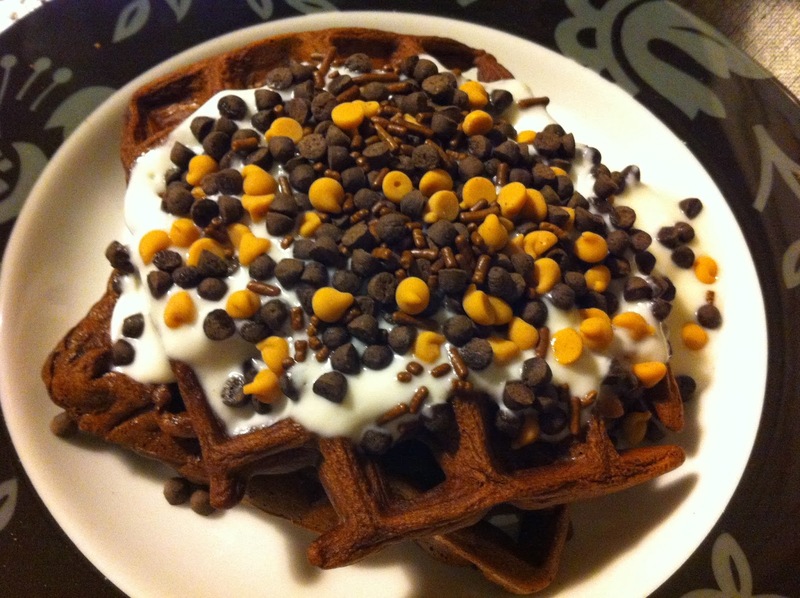 Add all sorts of toppings (I used sugar free plain yogurt sweetened with Stevia and Reese's Peanut Butter toppings) and EAT! Let me know if you tried them and how you liked them!